Drive letter can be assigned, changed or removed easily with the help of free partition manager. 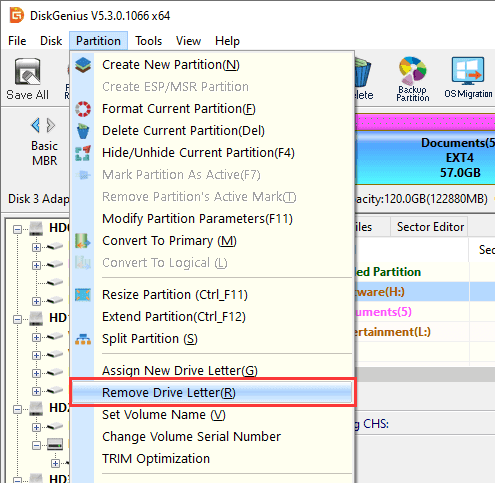 Step 1 Select the partition you want to assign or change drive letter, and click Assign New Drive Letter from Partition menu. 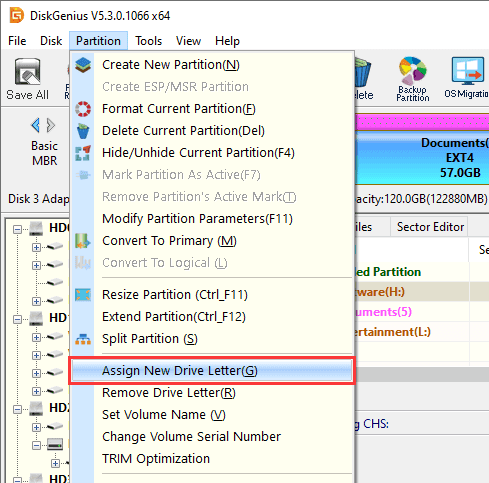 Step 2 Select a drive letter for the partition and click OK. Step 1 Select the partition you want to delete drive letter and click Partition -> Remove Drive Letter. Step 2 Click Yes and the drive letter will be deleted. Note: If drive letter is removed or deleted, the partition will be invisible to Windows.